"LOOKING FOR A REPLACEMENT PART FOR YOUR VEHICLE ! At SGI Salvage, we are auto recyclers committed to a green future. We work to minimize pollution, maximize recycling and promote environmental awareness. As a leader in auto recycling in Canada, our recycling programs include: antifreeze recycling, oil recovery, used tires, Freon recovery, scrap steel and batteries, to name a few. At SGI Salvage, we recycle over 7 million pounds of steel, 82,000 pounds of aluminum and 100,000 parts and assemblies every year. 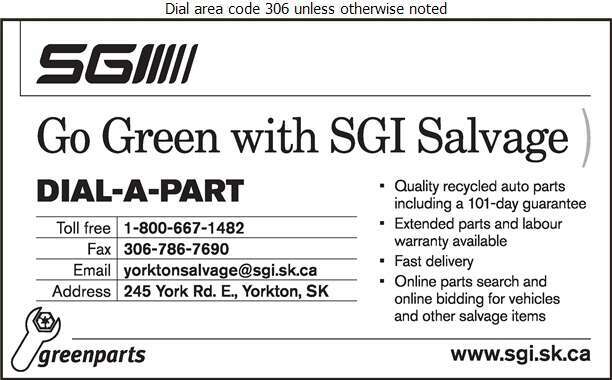 As part of a green future, SGI sells salvage parts and other items online. Customers can search online for parts as well as use our online bidding for vehicles and other salvage items. We sell quality recycled auto parts with a 101 day guarantee! 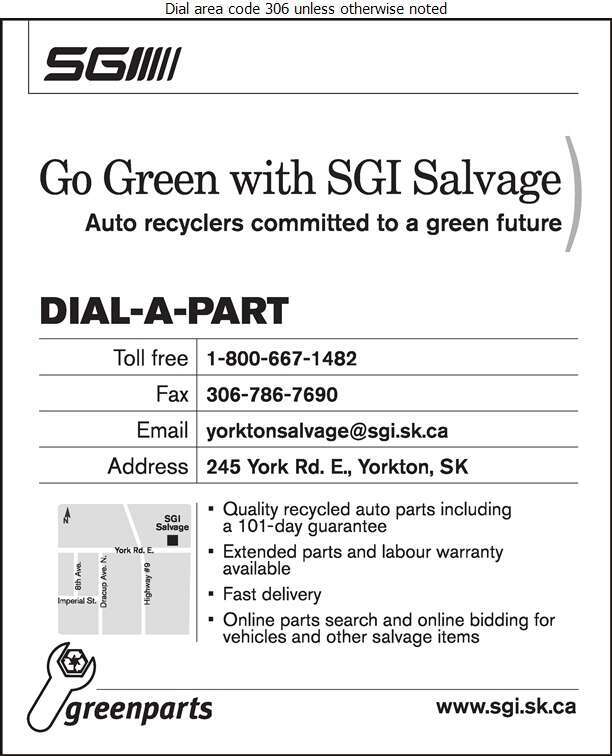 Go green with SGI Salvage!